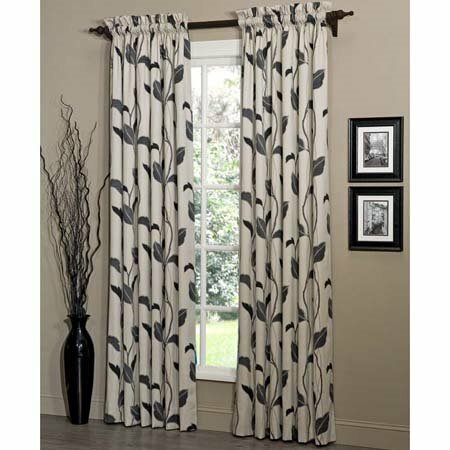 Vine and leaf print in shades of black and grey with touches of taupe. 100" x 84" plus 2" header. Fully lined. 3" rod pocket. One pair. By Thomasville Home Furnishings.